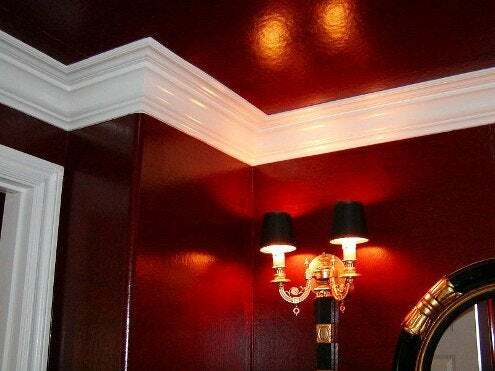 If your home doesn’t have the style and panache you wish it had, adding crown molding can help. It can mask any imperfections between the wall and ceiling and add formality, polish, and a sense of history, literally “crowning” the room. For those with basic carpentry skills and some patience, it can be a very satisfying do-it-yourself project. Before you start, set up a short scaffolding using sawhorses and planks, so you can reach the ceiling and move easily while you work. Most pros use a compound miter saw on the outside corners, which are the most visible. For inside corners, use a coping saw to carve away the back of the cut for a clean joint. How do you know which edge is the top of the molding? Look for the ogee, the common element in most crown molding that looks like a wave. It goes closest to the ceiling.